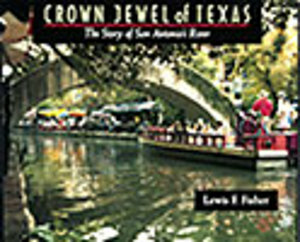 Crown Jewel of Texas tells of the century-long transformation of a wayward stream into an architectural and engineering triumph. San Antonio’s two-mile River Walk, by some measures the top tourist attraction in Texas, enchants millions of visitors each year and is a model for cities throughout the world. New sources straighten out oft-told but conflicting tales and bring the full, compelling story to light for the first time.